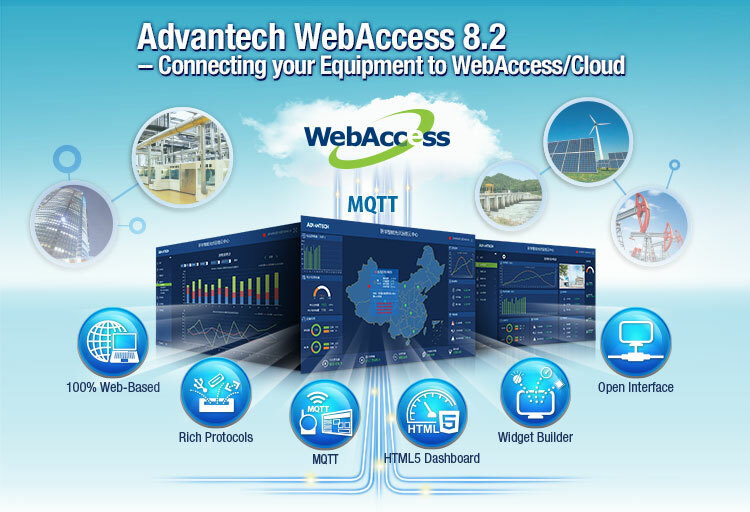 Advantech WebAccess is a 100% web-based SCADA software solution that also serves as an IIoT platform by providing open interfaces for developing IoT applications aimed at various vertical markets. WebAccess 8.2 also acts as a gateway, collecting a large amount of data from the ground equipments, and provides to WebAccess/Cloud via MQTT protocol by publish/subscribe. In addition to traditional SCADA functions, WebAccess features an intelligent dashboard to facilitate cross-platform, cross-browser data analysis and provide a user interface based on HTML5 technology. to improve overall remote building management efficiency. Collecting and managing data transferred from RTUs to create an analysis tool and to monitor the operating status of oil wells and devices in the field. For more info on these products, please call our toll free-line 1-800-866-6008 or email us at ia@advantech.com .